Explanation: The active moon Enceladus appears to be making Saturn's E ring. An amazing picture showing the moon at work was taken late last year by the Saturn-orbiting Cassini spacecraft and is shown above. 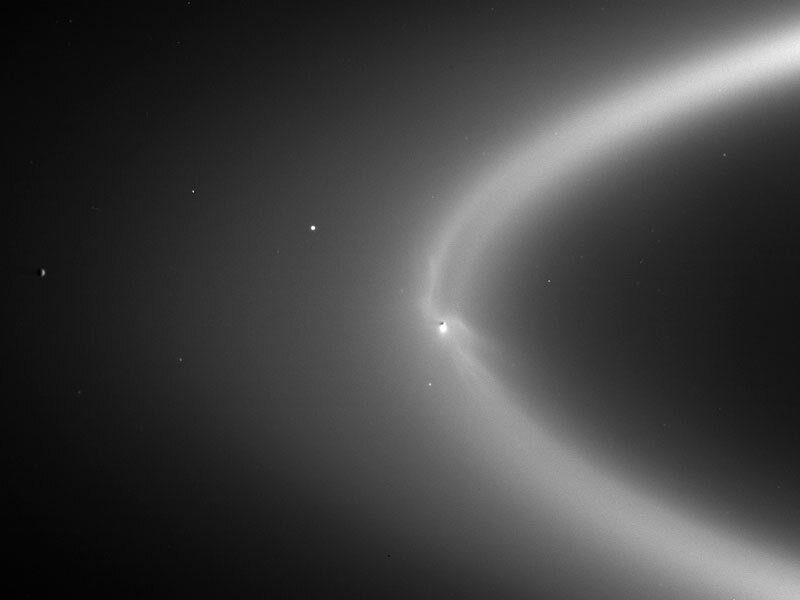 Enceladus is the dark spot inside the bright flare, right near the center of Saturn's E ring. 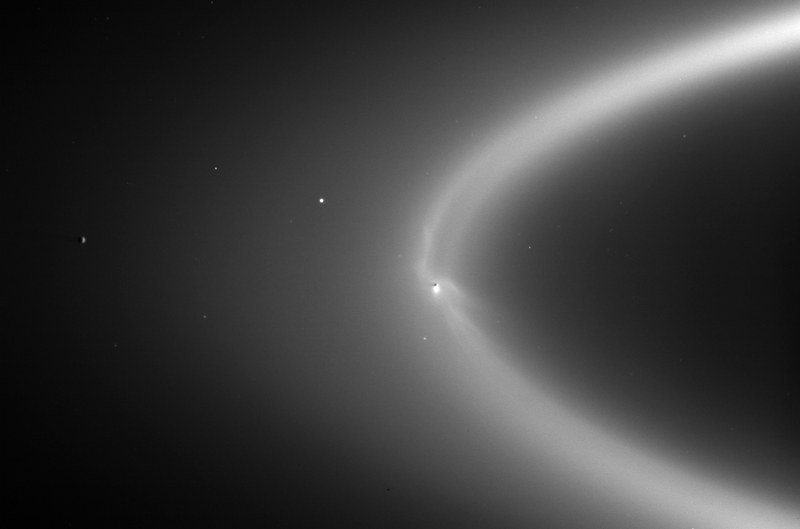 Streams of ice and water vapor can be seen pouring off Enceladus into the E ring. The above bright image of the normally faint E-ring was made possible by aligning Cassini so that Saturn blocked the Sun. From that perspective, small ring particles reflect incoming sunlight more efficiently. Cassini has now been orbiting Saturn for almost three years, and is scheduled to swoop by the unexpectedly cryovolcanic Enceladus at least several more times.